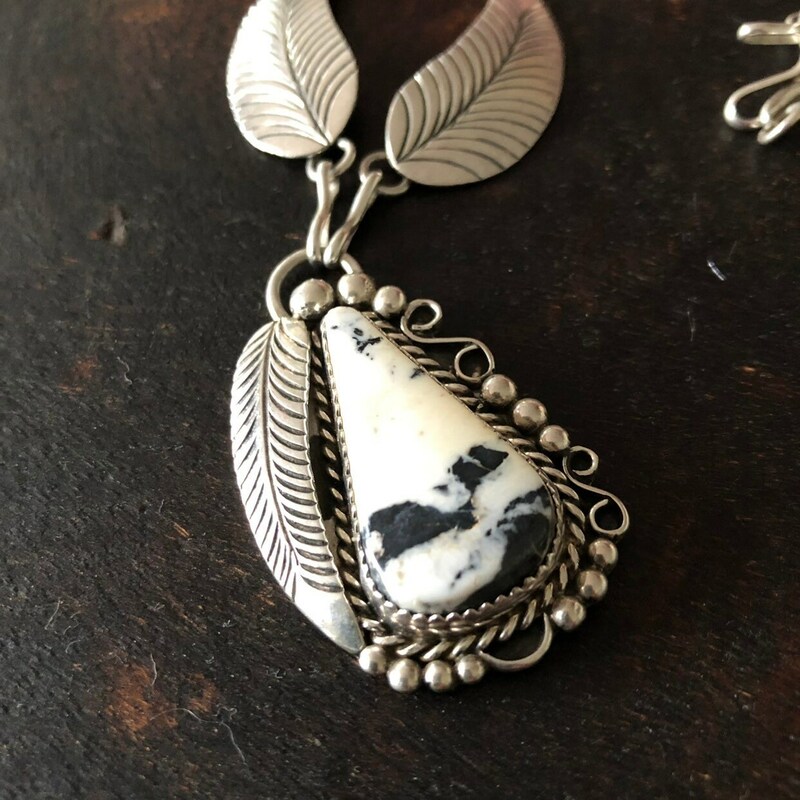 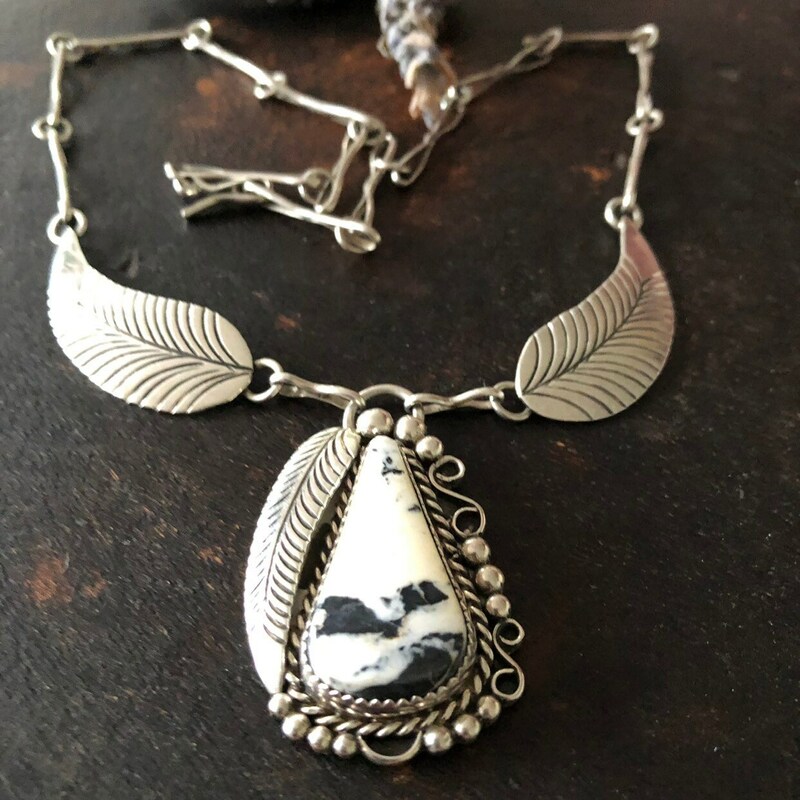 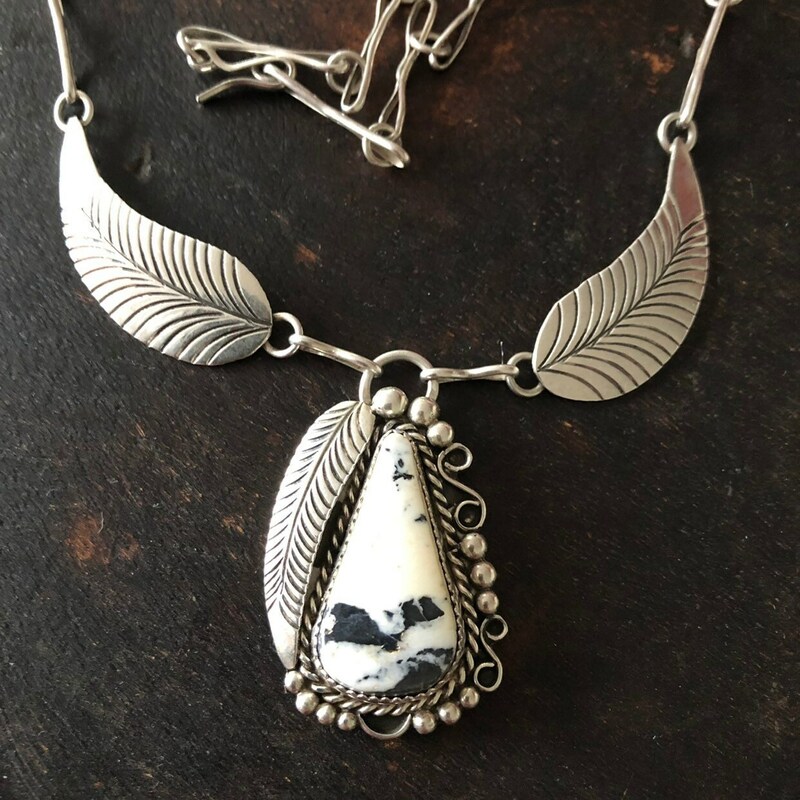 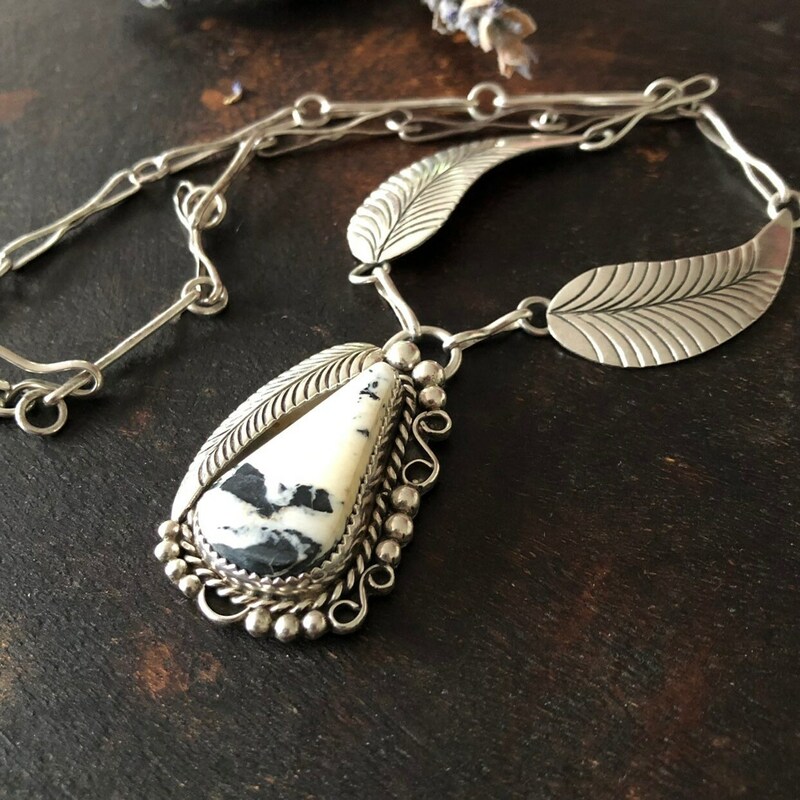 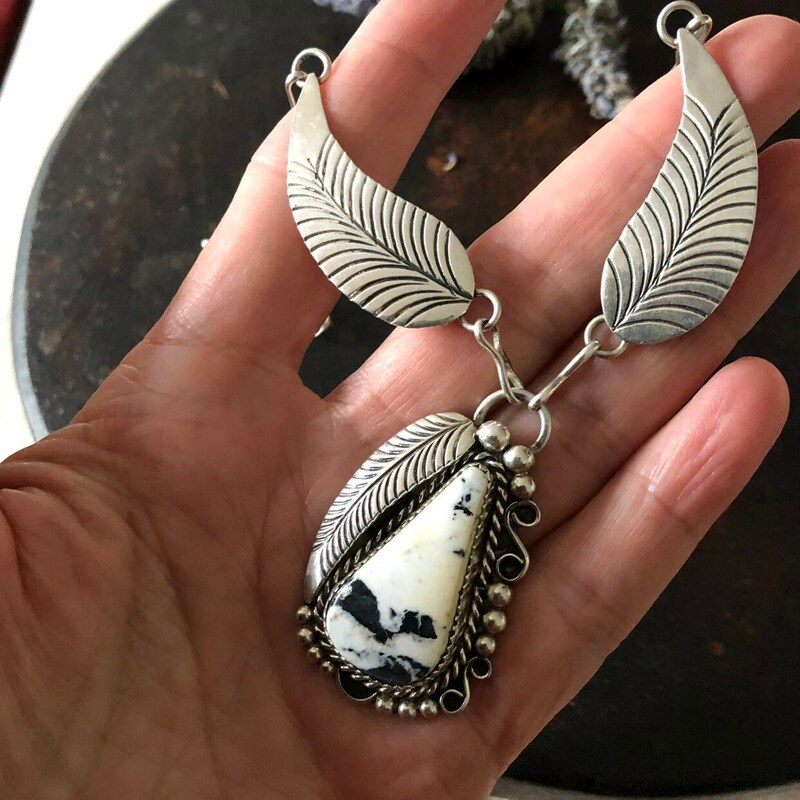 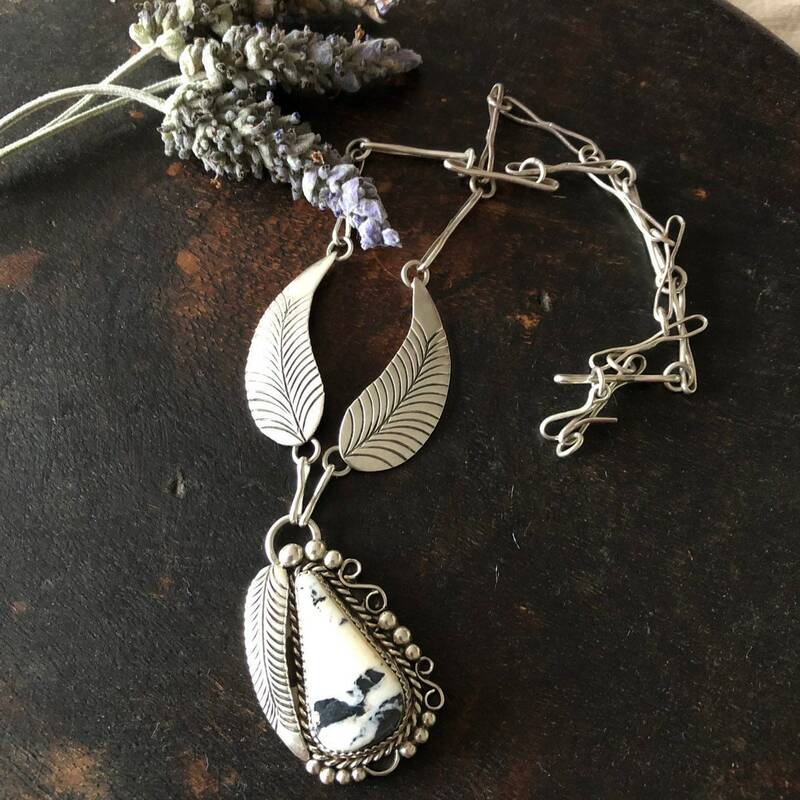 A gorgeous sterling silver and white buffalo turquoise pendant/necklace in excellent condition. 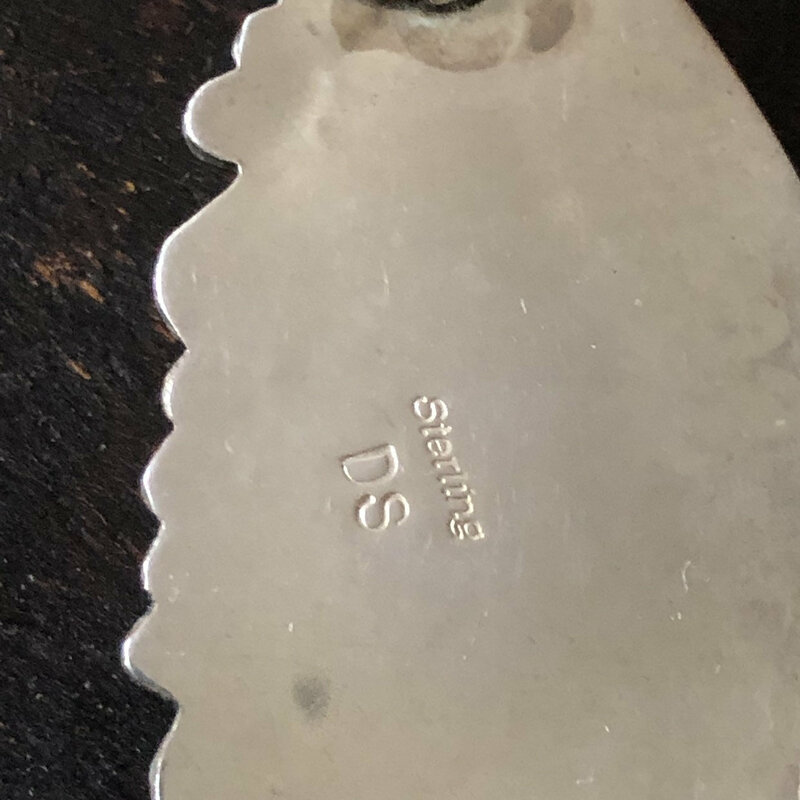 Hallmarked "Sterling DS" on the back of the pendant. 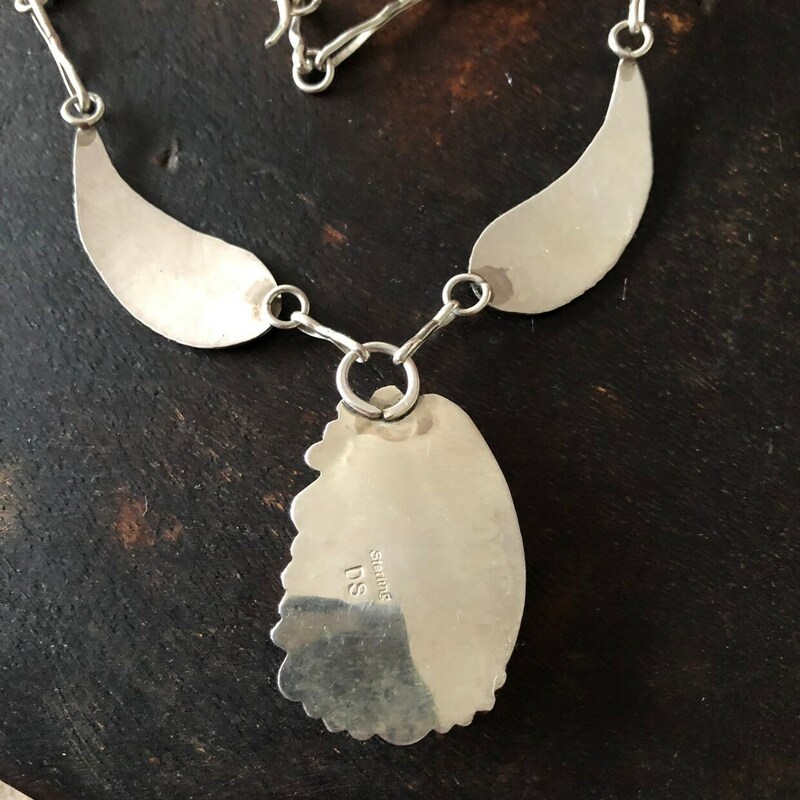 Measures 19" long including C-type clasp. 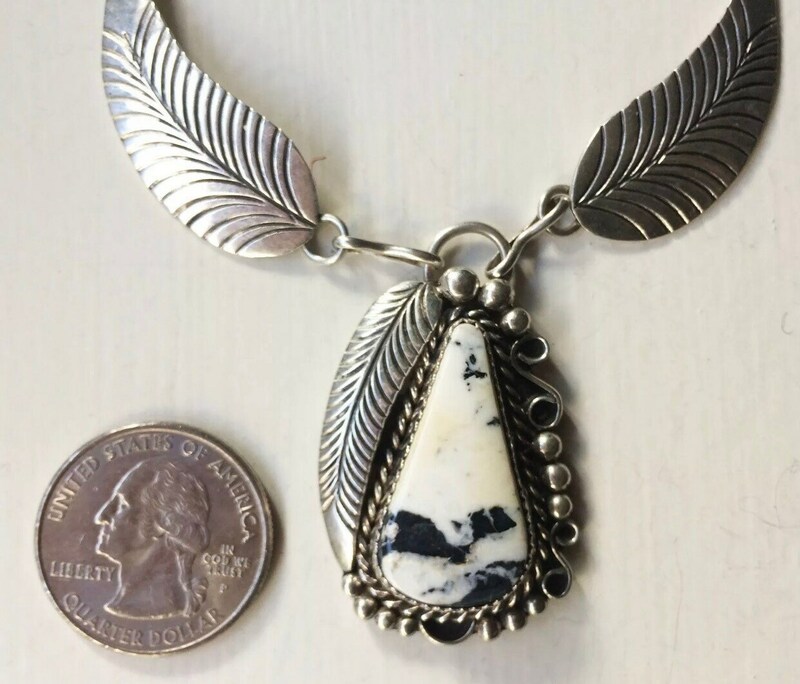 Pendant measures and 1 3/4 long and a little over 1" at the widest point.